Norma Lebario, Esq. - Escamilla Law Group, PLLC.Norma Lebario, Esq. - Escamilla Law Group, PLLC. As a paralegal, Ms. Lebario established Southern Arizona Legal Aid (SALA) in Nogales, AZ. During her tenure at SALA, Ms. Lebario assisted with numerous cases on behalf of the underrepresented, underprivileged residents of Santa Cruz County in matters dealing with landlord/tenant issues, social security disability, unemployment insurance, immigration, and conducted do-it yourself divorce clinics in English and Spanish. She was also instrumental in filing several class action lawsuits against public entities. Ms. Lebario obtained her Bachelor of Science degree in Business Administration from the University of Phoenix, after which she attended Arizona State College of Law. While attending law school, Ms. Lebario worked as a law clerk for the Pinal County Superior Court during breaks. Ms. Lebario was admitted to the State Bar in October 1990 and has remained a member in good standing since. As an attorney, Ms. Lebario was employed by Pinal County as a Deputy County Attorney, where she represented the state on numerous matters and conducted numerous hearings and trials. Ms. Lebario worked as a Deputy County Attorney for 12 years. In 2002, Ms. Lebario transitioned to private practice limiting her practice to victims in personal injury law, and has exclusively engaged in personal injury practice ever since. Ms. Lebario is proficient in Spanish. 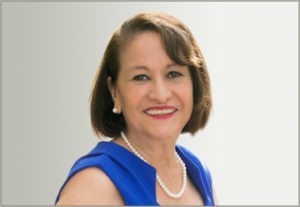 Ms. Lebario is a member of Los Abogados Hispanic Bar Association and the Arizona Trial Lawyers Association. Ms. Lebario joined the Escamilla Law Group team in summer of 2014, where she continues to enjoy assisting victims injured in motor vehicle accidents. Home » Norma Lebario, Esq.